At Cactus Transport, we’re far from new to the asphalt construction industry. Our sister company Cactus Asphalt has been a regional leader in asphalt construction and asphalt paving services for decades. Because of our years of experience in the industry, we understand how important it is to have the right equipment on hand at the right time. With our heavy haul transport service, we move asphalt paving and general construction machines to and from your job site. We also offer rental machines and transport the equipment you need any time of the day or night, which saves you money and reduces unnecessary downtime. 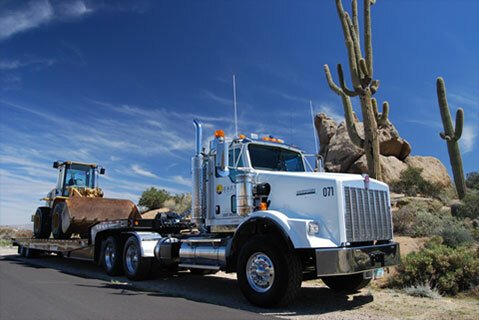 Cactus Transport leads the industry in transport services to and from asphalt construction sites in Phoenix, AZ, and the Southwest. Our 24-hour availability means we can deliver nearly any piece of equipment you need for a construction job at any time, and pick it up when you’re finished. For more information, call us today. 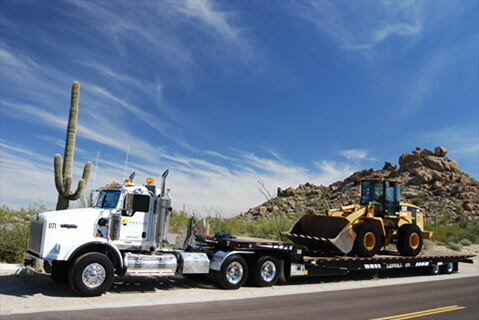 Many companies are experienced in transporting machinery, vehicles, and equipment. Others have experience in asphalt construction. Very few are experienced in both transportation and construction. We’re one of those select few. Our personnel understands that your job demands timely delivery of a wide range of construction equipment because we’ve been there ourselves. A delay can mean downtime, which extends a project past the estimated timeline and costs you money. Our experience means that we ensure timely delivery. Our 24-hour availability and relationships with regional equipment suppliers make us the first, best choice for heavy haul machines and transport. We provide a wide range of services to assist you in completing your construction job. We’ll deliver the materials needed, the construction equipment, the spreading and dumping equipment, and more. When you only need one company to handle your equipment and material needs, your project moves faster. We have a fleet of highly trained, background-checked drivers. Our fleets are driven by reliable operators who are experienced in secure transportation of all types of construction equipment. We keep an open line of communication, giving you around-the-clock support for your project. If your needs change, let us know, and we’ll update your order to reflect new instructions. It takes experience, expertise, and versatility to succeed in a dynamic industry. With Cactus Transport by Cactus Asphalt in Phoenix, AZ, you get all this from a name you trust. Call (602) 616-5088 to get started!